Elements Restaurant at the Rendezvous Casino is a Certified Carbon Free Dining Restaurant, which offsets its carbon at zero cost to the business. The Elements Restaurant chose to demonstrate its Corporate Social Responsibility by participating in the United Nations Environment backed Carbon Free Dining Certification programme, at zero cost to the business. 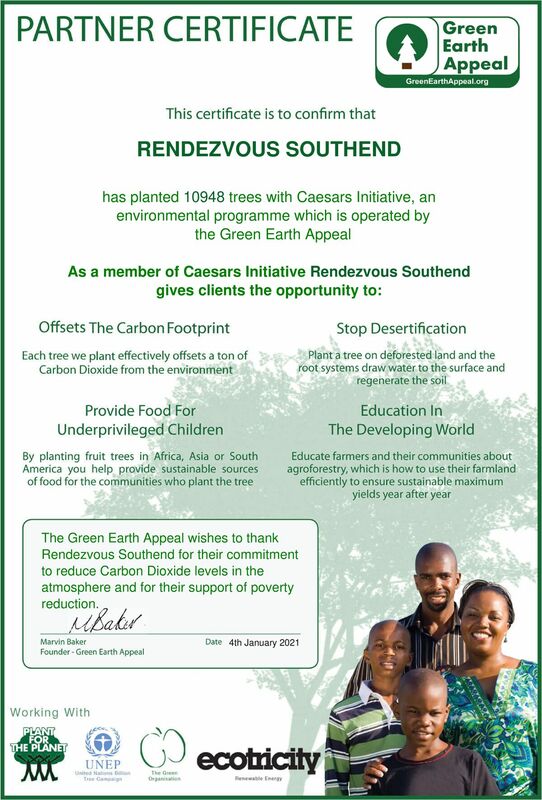 By being a Carbon Free Dining Certified partner, The Elements Restaurant at the Rendezvous Casino in Brighton, plants hundreds of trees each month, effectively offsetting the CO2 footprint of the meals it serves.